Casita RV’s are a great, efficient, cost effective RV. They are both durable and liightweight. One big benefit of Casita RVs is that they have spacious interiors with plenty of room for a toilet, shower, and a great custom mattress. However, if you are looking for a new mattress for your Casita RV, chances are that you will not find one at a store ready to buy. You will need to measure and order a custom RV mattress from a mattress company. So, grab a tape measure and get ready to collect information on ordering your custom RV mattress. Measure from the side rail to the other side rail. This will become the width of your mattress. For the purposes of an RV, you will need to keep the size of your bed the same as the rails are built into the RV. Then measure from the head to the foot, making sure that you measure where the mattress sits and not where the top of the mattress would be. Finally, measure the lowest point that the mattress will sit on to the top of the frame so that the mattress will not be made deeper than the RV can handle. If you have a mattress that is going to be an unusual shape other than square or rectangular, you will need to take additional measurements and sketch them out so that the mattress manufacturer will know what to do. When you order your custom RV mattress, take into account that RV beds may have different shaped edges. For instance, many RV mattresses have rounded edges, or what is called a cutoff corner. In this case, you will have to sketch or choose the mattress of your choice. Most have one corner that is rounded. Even among Casita trailers there will be differences as there are 4 models ranging from the 13 foot Patriot to the Liberty Deluxe that has choices in 16 and 17 feet. There are also different size options in the Freedom Deluxe and the Spirit Deluxe. Make sure to not only know how thick of a custom RV mattress your bed can take, but know how thick of a mattress you would like. Choices range from 6″ to 14″ with or without memory foam. Call Dave at 801-360-9009 to speak with our RV mattress specialist. A Casita RV is a great vehicle to have, because it’s basically a hotel on wheels. It can be taken anywhere the road allows it go, and people can save a lot of money since they won’t ever have to rent a hotel. However, the standard mattresses that come with most RVs aren’t that great, so many people are opting to order a custom RV mattress. This article will focus on how Casita RV owners can order a custom mattress. When ordering a custom RV mattress, it’s important to take the shape for the area into consideration. This is one thing that many people tend to forget about. The areas where these mattresses go are usually different throughout a single RV. They may be rectangular with no corners cut off, or they could be rectangular with one of the four corners cut off. It’s extremely important to know what shape it needs to be, because it is a customized mattress. Accurate measurements are also extremely important when ordering a custom RV mattress. To get the right width measurement, one should measure from the inside rail to the other side rail. The foundation should be sitting at the other side rail. To get the right length measurement, the length from the headboard all the way to the footboard should be measured. The height should also be measured just in case it may be a problem. The height should be measured from where the mattress actually sits to the footboard’s highest point. These three measurements are usually all a person will need in order to order their custom mattress. Now that all the measurements and shapes have been taken into consideration, it’s time to pick out the kind of custom RV mattress one will purchase. Memory foam beds are a great choice, because they are extremely comfortable and �middle of the road� priced. All natural latex mattresses are also available, and while they are more expensive they do offer many advantages (better for heavier people, and will generally sleep cooler). Call Dave today at 801-360-9009 for more information on ordering a custom Casita RV mattress. RV owners love their vehicles and like to keep them looking good. Restoration is possible for most all parts and supplies, due to plentiful suppliers and clubs for Airstream lovers. RV owners need to be comfortable when on a camping trip or other long holiday. And a good Airstream RV mattress keeps you sleeping and resting well so your energy level allows you to enjoy your trip. For vintage RV owners, replacing an old worn-out mattress will help to sleep a lot better. Although some vintage parts are hard to replace, today’s mattresses can be custom-made to fit any bed. First, measure the bed foundation (usually a plywood board) instead of the mattress, which has probably changed shape in its old age. Then use a tape measure and get the length and width of the bed’s foundation, as well as the height of your old mattress. Since the mattress has rounded corners, measure the length of each side of the plywood and draw a simple sketch going from the top to the end. This is the drawing you give to us. 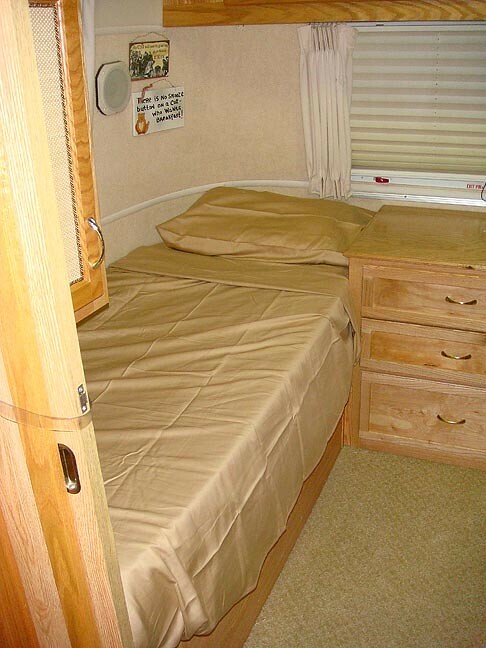 RV beds come in different types of latex, foam, and memory foam. Natural botanical latex mattresses may be a great choice if you are sensitive to allergies and chemicals. Standard foam mattresses are fairly inexpensive. But they will compress and dent over time, and they are petroleum based (though some carriers make them with green options). The newer memory foam mattresses, though more costly (that standard foam), keep their shape, are antibacterial and hypoallergenic, and dust mite free. 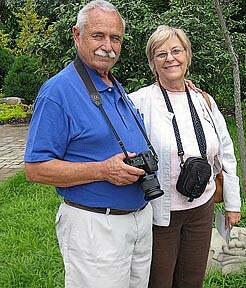 One of the most popular American pastimes is getting into your RV and travel all over the country. If you are going to be spending a lot of time in your RV, you’ll want to spend a little more money on customizing your rig. The most economical thing people can do is getting a custom rv mattress made for their set up. Here are some tips to help you get the perfect custom rv mattress. The most important aspect of ordering a custom rv mattress is accurate measurements. It’s extremely important because once your mattress is ordered, it cannot be returned or any fees paid cannot be refunded. Most of the time we will only need the measurement of your foundation, where the mattress will go, but the more information we have, the easier it will be. When measuring the foundation width, make sure that you are measuring from the inside edge to inside of the opposite edge of where the mattress typically rests. To give you a guideline, twin beds are generally 38 inches wide, a full mattress is approximately 54 inches wide, a queen rv mattress is around 60 inches wide, king mattresses are 76 inches wide and California king mattresses are about 72 inches wide. You’ll want to measure the length of the rv mattress in the same manner. To give you a good idea if you are on the right track, twin, full, queen and king mattresses will be anywhere from 75 to 80 inches long and a California king will be 84 inches long. Another important thing to keep in mind is what the height of the area your mattress is in. Some areas have much lower ceiling clearance, so you will need to measure from where the mattress will sit to the highest place you want to the mattress. In areas that have lower ceilings, you’ll want to make sure your are leaving yourself plenty of room to maneuver. In case your existing rv bed is an odd shape, you can always make a paper template of your bed to send into our warehouse. This will ensure that you are getting the perfect fit and that your travels will be comfortable. I received my custom Airstream twin mattress today. I was amazed that FEDEX delivered the first mattress in less than 48 hours from shipping. The mattress fits the curved end of the Airstream perfectly. The quality of the CoolMax mattress cover is excellent. 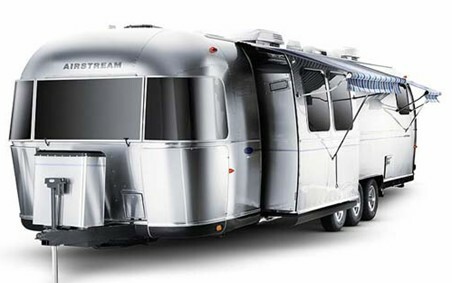 The mattress is far more comfortable than the original Airstream-supplied innerspring. I think it is more comfortable than our queen at home which is a 4″ memory foam over a high-quality pillow top. Thanks for working with me on this custom order! No one wants to be uncomfortable in their RV travels. A flat, worn out mattress can put a damper on your adventures. If you drive an Airstream RV you can have a custom made Airstream mattress for your model and rest easy. While there will be a few things to consider like shape and of the memory foam mattress you will need, it’s well worth it to have a comfortable place to lay your head in your recreational vehicle. It’s a relatively simple process once you understand what is needed to get it done. Consider this your guide to traveling in comfort. Width – In order to get the correct width measurement you need to take a tape measure and measure from one side to the other of the area where the mattress will be placed. Take care to measure the inside since that is where the mattress will go. Length – Here you will take your tape measure and measure from the top to the bottom of the area where your new custom mattress will be placed. Again, be sure to measure the inside and not the outside of this area. Height – It is possible that your mattress bed platform area has a height range it can manage. You will measure this by taking your tape measure and measure the inside of this area from the bottom vertically to the top. There may be a couple of inches of leeway to work with, but that will depend on where the rv mattress will put your body in relation to the ceiling of your RV. If your mattress area is not square, there is another way to accomplish getting the right custom made mattress for your recreational vehicle. You will simply make a blueprint of your mattress area by finding your Airstream floor plan online and drawing it out with the measurements as described above. You can also measure the radius to get the proper specifications on your mattress area for getting your custom Airstream RV bed. You may need a standard caliper for rounded edges or a protractor for angled edges. You can obtain these at any home improvement store. Once you get your measurements or blueprint done you will then send in your specifications to get your custom rv mattress for your Airstream RV. It will make a big difference from the mattress you are sleeping on now during your travels.